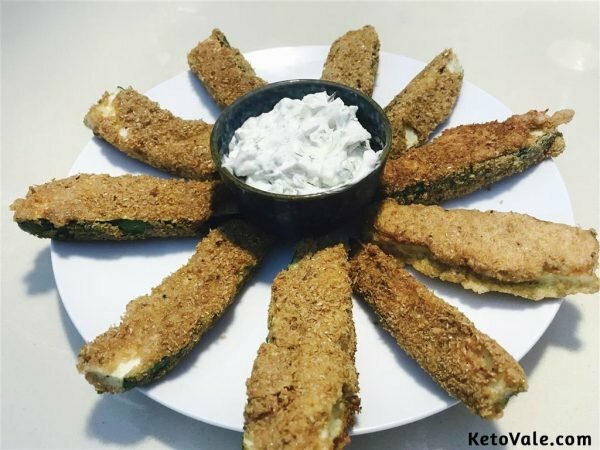 Another great Keto Snack that you can try is zucchini fries with flax meal. So why flaxseed? The flax seed has a big nutrient payload. 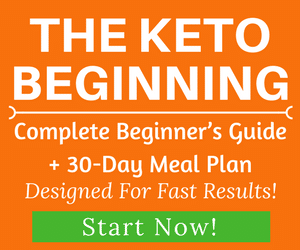 It is gluten-free, high-fiber and low-carb which is especially great for ketoers. 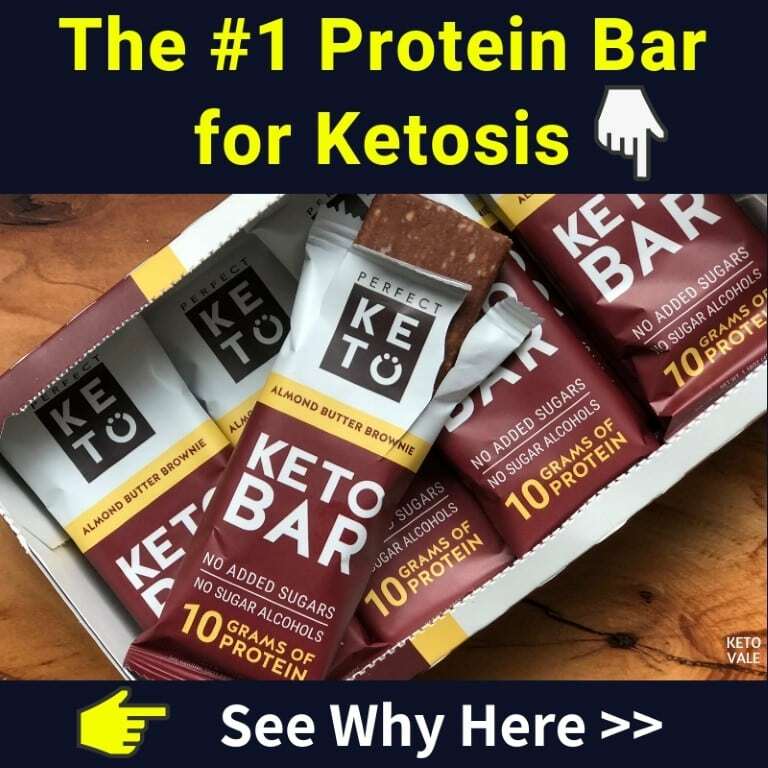 In the very beginning when you start keto diet, you often feel hungry and wonder what you can eat for snack. So here’s an idea for a mid day snack: zucchini breaded in flax meal (grounded flax seeds). Hope you enjoy this recipe and don’t forget to give it a try. Chop the zucchini to make long sticks. Flavor with smoked paprika, pepper, and salt. Beat the two eggs in a bowl. Heat the skillet and pour the olive oil and coconut oil in the pan. 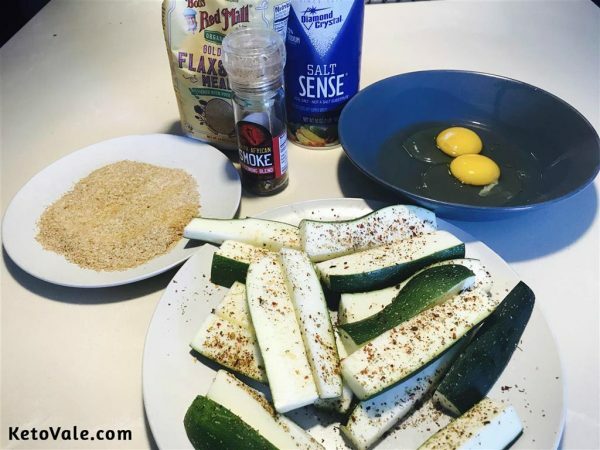 Submerge the zucchini sticks in the beaten eggs and roll them in flaxseed meal crumb. Coat entirely. Brown them in the heated oil. 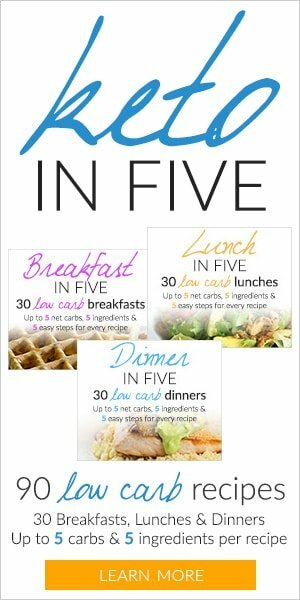 Serve with your favorite low-carb dip on the side. 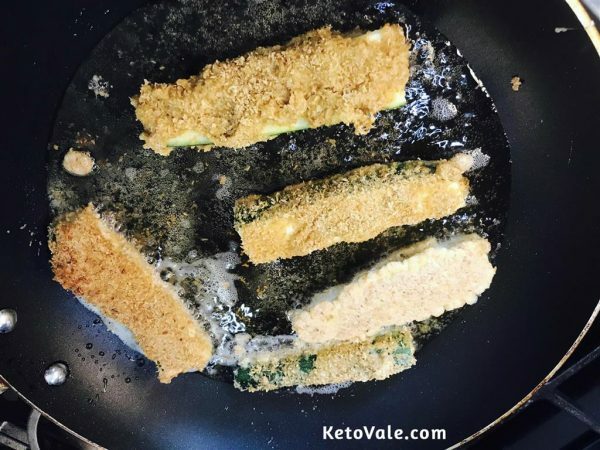 When you fry these zucchini sticks don't cook it through, remove it to a plate with paper towel as soon as crust forms on all sides. You don't want to over cook zucchini. 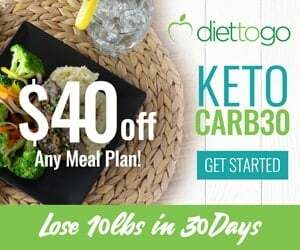 You can serve it with some Greek yogurt or sour cream-based low-carb dips. I served it with Greek yogurt mixed with fresh dill, grated fresh cucumber, pinch of cumin and cardamom. Give this recipe a try today and see how you like it.